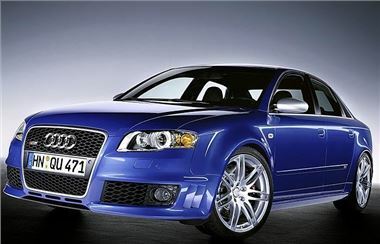 The danger of selling a high performance car privately came home to the owner of an Audi RS4. Thieves posing as potential buyers robbed the owner and a friend at gunpoint at their London home, before driving off in the £27,000 vehicle. With the latest figures from TRACKER reporting that £15.8 million worth of the stolen vehicles it was alerted to in 2010 were taken using the owner’s keys, the UK’s leading stolen vehicle recovery specialist is warning private car sellers to take precautions when advertising their car and inviting buyers to their home. “In 2010, the number of car thefts involving keys rose to 84 per cent, compared to 74 per cent in 2008, confirming just how vulnerable car owners truly are to the chances of home burglary or assault from car thieves” says Stuart Chapman, police relationships manager of TRACKER. “Today’s in-car security systems make it difficult for criminals, which means they are turning to more sophisticated methods. Whilst stealing a car as a result of a classified advert in Auto Trader is thankfully pretty rare, car thieves are regularly breaking into homes to steal keys and, as this case proves, many resort to taking keys from owners by force. Honest John suggests that the safest way to sell a used high performance car is to use BCA Sure-Sell. Then the car is competitively bid for by traders and members of the public, so is likely to realise a sensible price, without any og the risks of illegal, uninsured trst drives, strange perople phoning at the dead of night and criminals finding out where a high performance car is kept. Tracker advises car sellers to take sensible precautions when advertising their vehicle. "Prospective buyers are still strangers and may not be the genuine article, so people should think twice before inviting them inside. Luckily, the Audi RS4 in the armed robbery was fitted with a TRACKER device and, working with the police, the vehicle was found on the same night. TRACKER stolen vehicle recovery systems work like an electronic homing device. A covert transmitter is hidden in one of several dozen places around the vehicle. There is no visible aerial, so the thief won’t even know it’s there. Unlike other tracking systems, the device works even if the vehicle is hidden in a garage or taken abroad, offering car owners the ultimate in peace of mind should the worst happen.